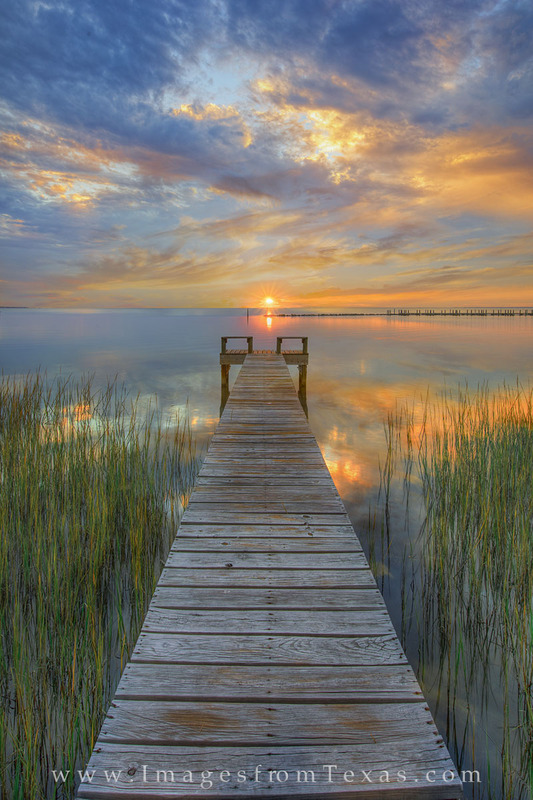 This vertical photograph shows one of my favorite spots for sunset in the Rockport-Fulton area along the Texas coast. Sitting on Capano Bay, the view looks west across the still water beneath a colorful autumn sunset. After the colors faded, I was fortunate enough to sit and watch two dolphins glide gracefully around the cove as they chased small fish, apparently in search of an evening snack. Photo © copyright by Rob Greebon.